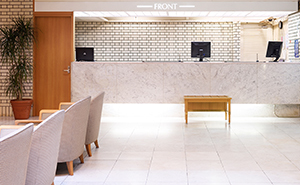 The Front Desk is located on the first basement level. The sun shines on the lobby floor from high ceiling. 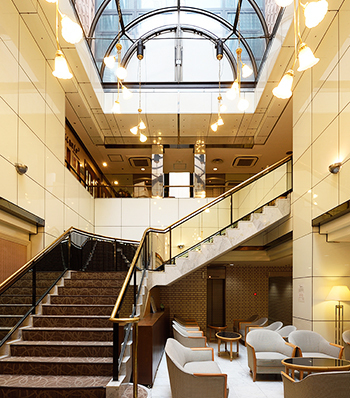 We welcome you at the Lobby Floor with warm and comfortable atmosphere. Free wifi service is available in the facility. Please feel free to use for your business and searching for tourist attractions. * There is a limit to the number of items that you can rent. 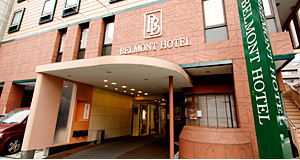 At the Belmont Hotel, you can rent a bicycle (charged) for business or tourism. 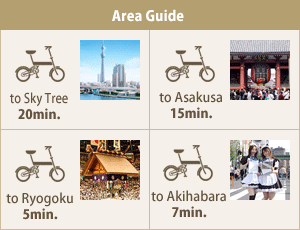 To reserve a bicycle, please use the internet site. It may also available upon request at the front desk, if there are some left. Rental is by reservation only. Please lock the bicycle if you leave it somewhere. If you break or damage the bicycle or act illegally, you will have to pay for the repair expenses. We do not have bicycles for children. 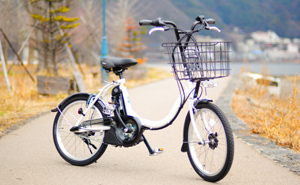 If the bicycle is stolen while in your care, we will charge 15,000 yen per bicycle. AED (Automated external defibrillator) is situated in the Hotel. Also, our staff has completed AED training courses and given First Aid Certificate. A rental meeting room near our hotel. 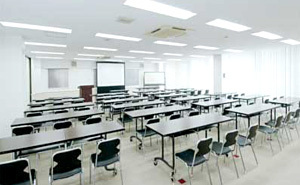 It has a capacity of 260 people. 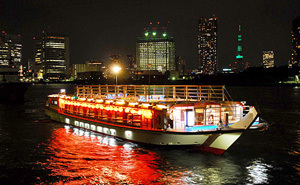 Kandagawa flows behind our hotel and there are many yakata bune (a roofed pleasure boat). Please try out a yakata bune when you stay at our hotel. They’re great fun! Our hotel check-out time is 10:00am. We will charge you as below if you would like to extend your check-out time. Please contact us if your plans are affected by bad weather, an earthquake, transportation problems etc.